BUCYRUS — Police are searching for a Bucyrus man in connection with two incidents on Thursday. A warrant was issued for Jeremy L. Lewis, 42, following a domestic issue that occurred in the 600 block of Plymouth Street shortly after 5 p.m. Thursday. The matter is related to an earlier felonious assault and burglary investigation. The victim in the earlier investigation was taken by Life Support Team Ambulance to Bucyrus Community Hospital and then transported by medical helicopter for advanced care. The victim was assaulted in the 900 block of East Rensselaer Street around 1:41 p.m. Thursday. 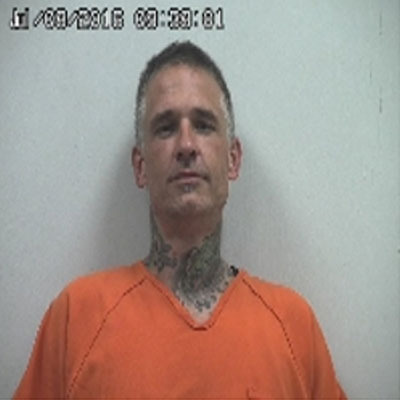 Lewis is described as 5-feet, 8-nches tall, weighing around 180 pounds with short, brown hair and tattoos on and around his neck. Anyone with information should call the Bucyrus Police Department at 419-562-1006.